Got a fun new find for you ladies today. It’s not a new product, but it’s new to me. 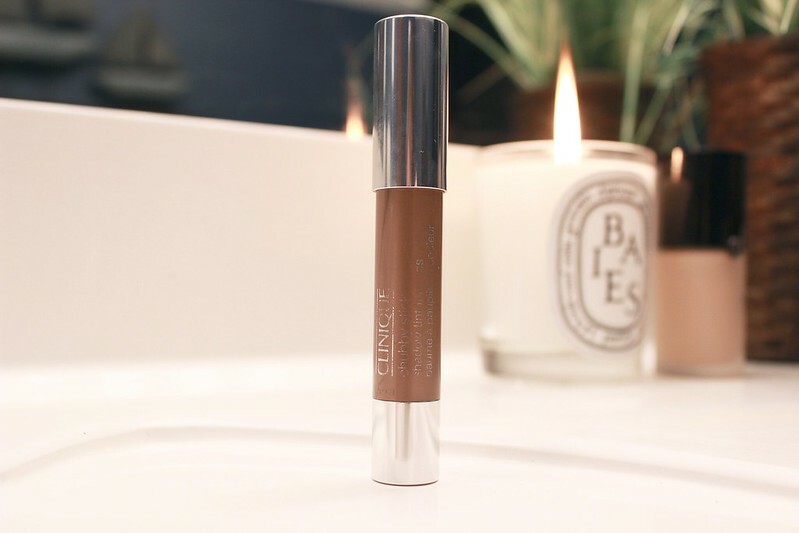 It’s called the Clinique Chubby Stick Shadow Tint for Eyes (yes, I know that’s a long name) and the color is “Lots o’ Latte.” There are many reasons why I love this little stick of love… let me count the ways. 2. It’s EASY. 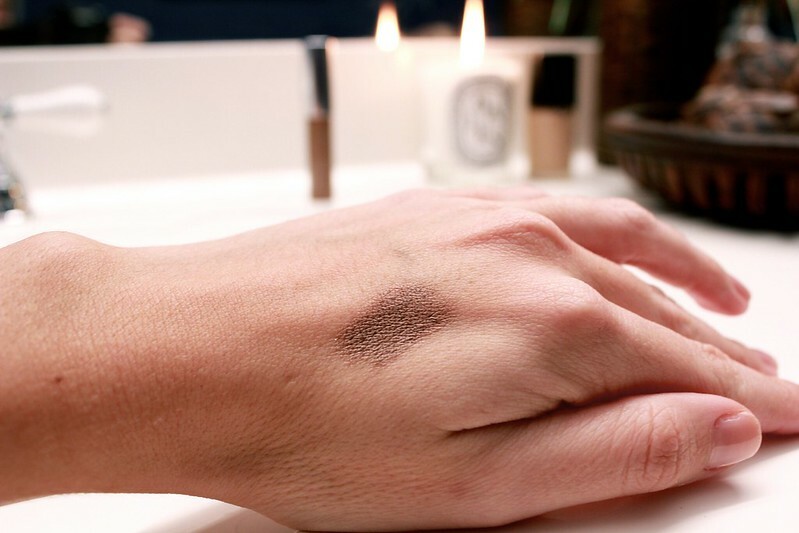 You just apply it straight onto your eyelid and blend with your fingers. That’s it. It’s a one stop shop, people. 3. 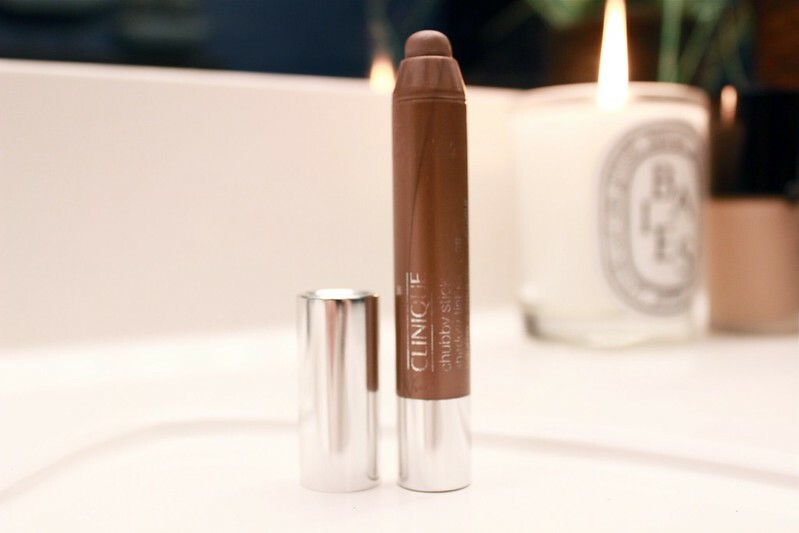 Since it’s metallic, it gives the effect of a few different shades and it doesn’t look flat on your eyelids. It gives the appearance that you’re wearing a few different products when you’re only wearing just this, which is a total win in my book. 4. It long-wearing. It’s creamy and easy to work with, but yet it will stay put all day. A lot of cream shadows don’t offer both and that makes me mad because I always need to have my cake and eat it too. 5. It doesn’t require a sharpener. Just twist the bottom and watch it grow. 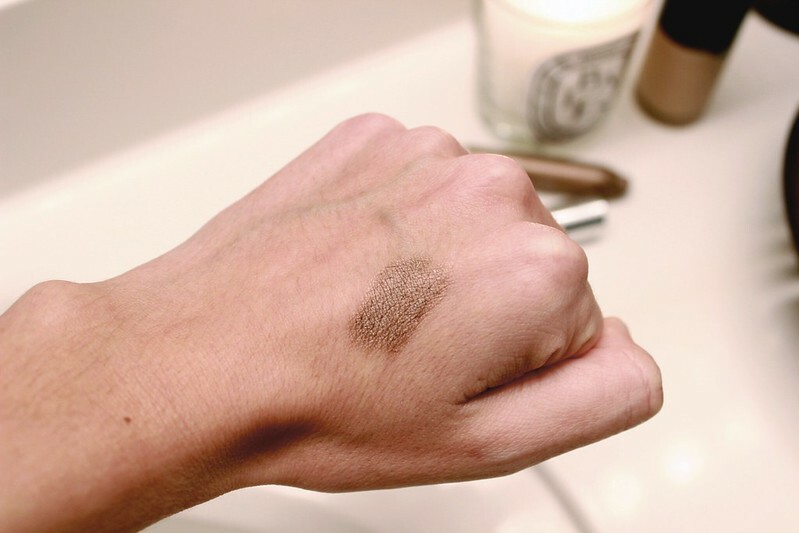 Here are a few swatches. See how it kind of looks different in the top photo vs. the bottom one? See that’s what I’m sayin’ in #4. Sometimes it gives a more gold look and sometimes it’s more taupe. This is great for indecisive girls such as myself. It sure would look pretty blended with “Bountiful Beige” in the inner corner and just underneath the brow bone. I’m telling you, it’s just good. Real good. And you can buy it here for $17. This reminds me of MUFE's Aqua Eye sticks! I have two that are very similar to the Clinique colors. I love products like this! You have such great beauty advice, and I just saw that you are the new beauty editor for The Everygirl! Congrats, can't wait for even more beauty posts! Thanks for sharing 🙂 I love that color "Lot of Latte" I may run out and grab one of these chubby stick shadows.